It is common knowledge that radio talk show host Rush Limbaugh admitted becoming addicted to prescription painkillers in 2003. Limbaugh started taking painkillers after back surgery years earlier, and became addicted to them. Limbaugh is alleged to have engaged in criminal activity by "doctor shopping" to get his hands on the drug. Many Leftists seized on Limbaugh's previous comments denouncing drug use and calling for prosecution of illegal drug users, pointing out the "hypocrisy" in Limbaugh's life. While breaking the law cannot be excused, I would point out that getting addicted to legally prescribed prescription drugs is different from taking drugs that are completely illegal. 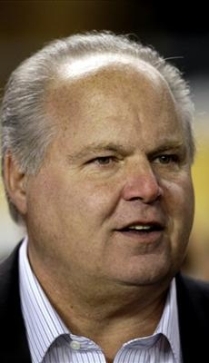 Limbaugh is not the same as someone who gets hooked on heroin, cocaine or methamphetamine. In fact, there have been concerns about the addictive properties of Oxycontin that led to a lawsuit by Bloomington attorney Ken Nunn. The "hypocrisy" argument has some merit when discussing Limbaugh's views on drug policy. However, bringing up the Oxycontin addiction and using pejorative names like "junkie" are completely irrelevant when discussing Limbaugh's views on other subjects, such as global warming, crossover voting or tax policy. Calling Limbaugh a "junkie" is an insult and a taunt that does not in any way refute the arguments he makes on such issues. It is a perfect example of the ad hominem logical fallacy. It is well known that Barack Hussein Obama, the Democrat Party's presumptive nominee for President, admitted using cocaine in his youth. Does this in any way affect his qualifications to be President? No. In fact, Obama's admission of past misdeeds is a testament to his character. Nonetheless, if Leftists want to insult and taunt Rush Limbaugh or his supporters by bringing up Limbaugh's chemical dependency, they have little credibility to complain when conservatives respond by calling Barack Hussein Obama a cokehead. A better option, however, is for Leftists to abandon the "junkie" taunts and behave like respectful adults capable of civil political discourse. Of course, we all know that is not going to happen.